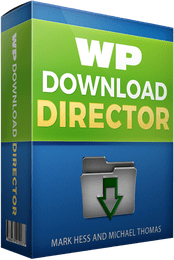 Instant Access To The WP Download Director WordPress Plugin To Use On Unlimited Sites You Own - Prevent download doomsday. Save days of frustration with "auto-failover" downloads. Outstanding Support– We support our products 100%. Should you run into any issues with WP Download Director we are always here to help. 30 Day No-Hassle Money Back Guarantee – We offer a no-hassle money back guarantee on all of our products. No questions asked, no drama, if you’re not happy we will gladly give you a refund. That's our promise to you. Plugin Updates – All of our software is constantly updated to meet any type of changing environment within WordPress. We use WP Download Director on all of our own sites.